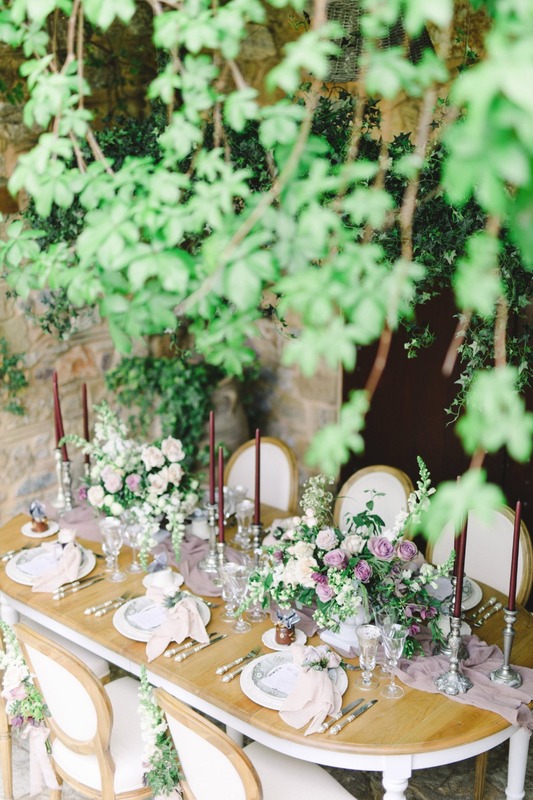 The romantic vibe of this winery wedding inspiration from Lily of the Valley is almost a fairytale in the making! 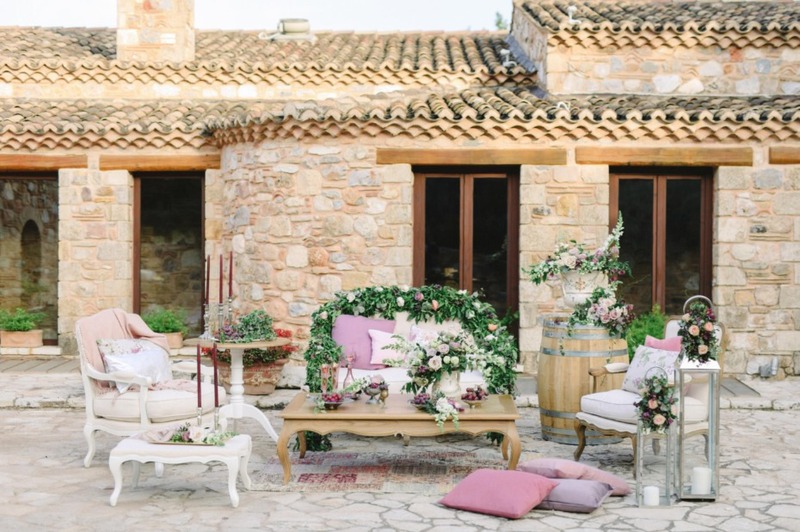 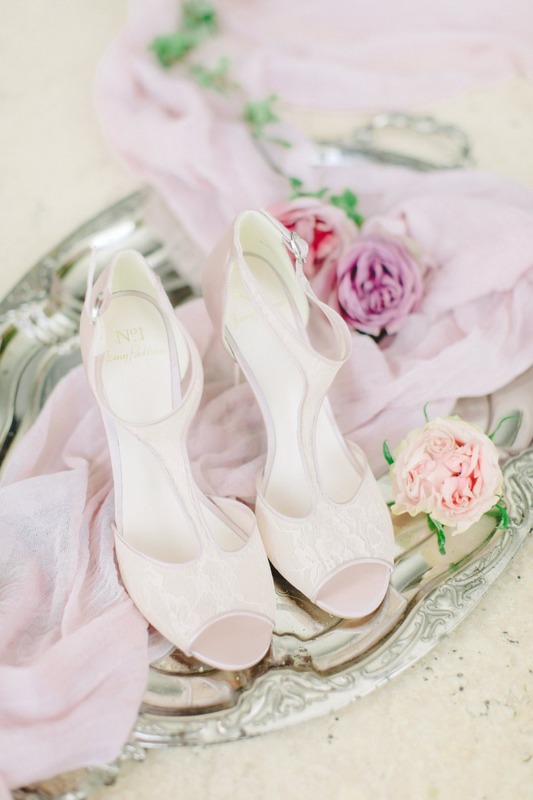 The picturesque winery venue, Pyrgos Petreza in Greece was the dreamy setting for this shoot, and featured an old olive tree which was covered in garden roses for the ceremony backdrop. 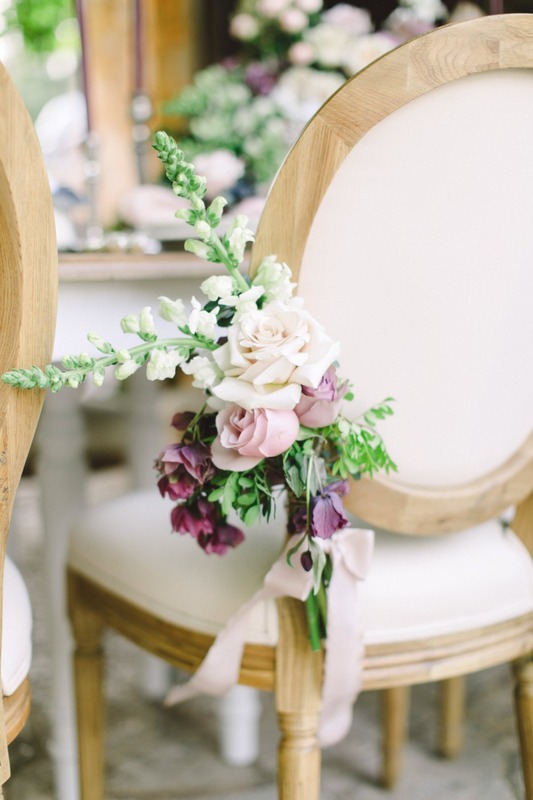 The secret garden table and lounge area definitely steal the show with their vintage styling in soft hues of pink and purple. 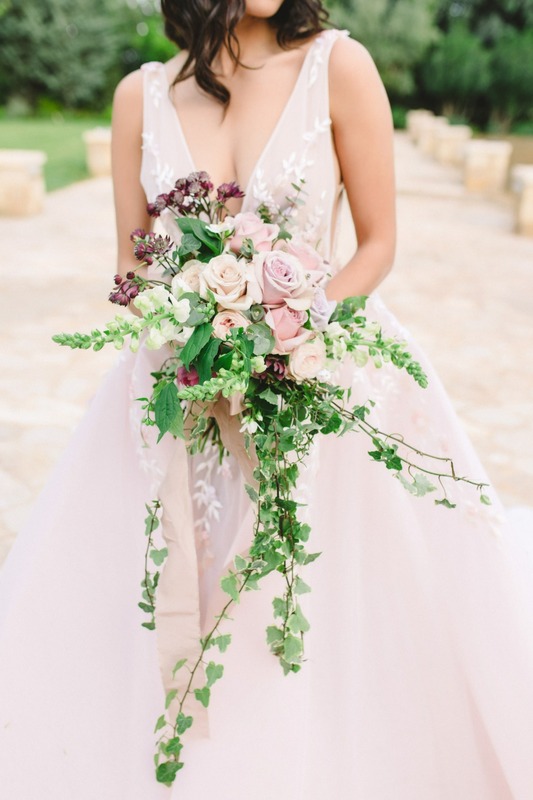 But our fave detail has to be bride-models stunning blush gown from Nathalie Karam which perfectly added to that fairytale feeling we love. 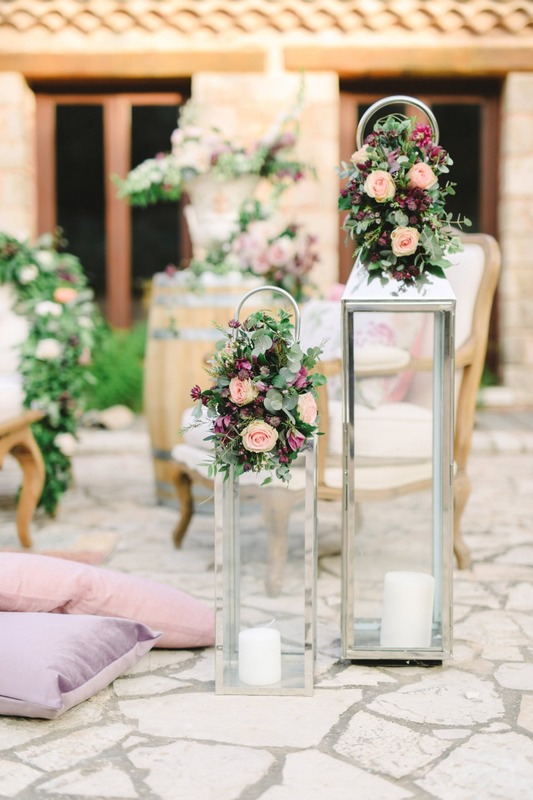 Captured by Anna Roussos, see all the highlights below and grab a closer look in the full gallery. 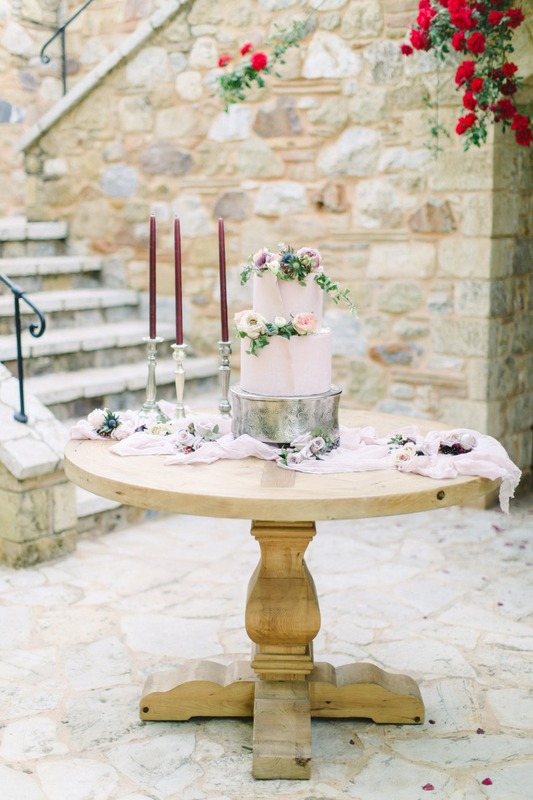 From Lily of the Valley: In Greece, the Olive Tree symbolizes peace and prosperity, as well as resurrection and hope. 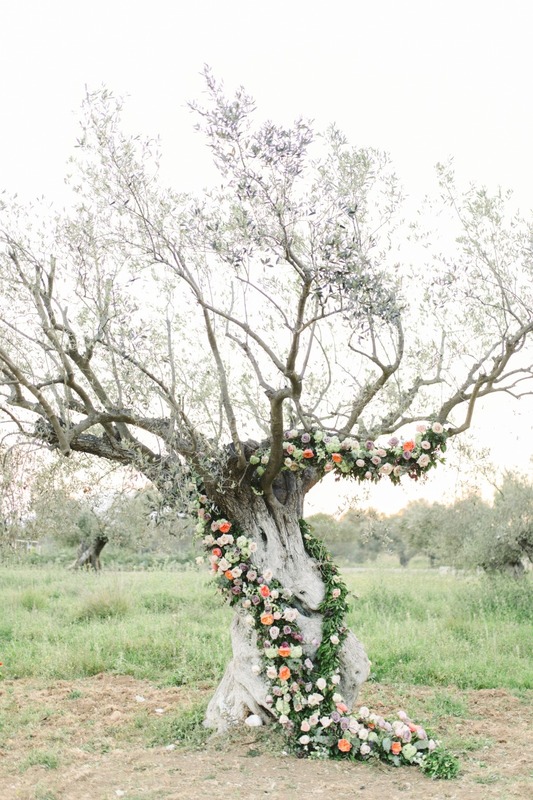 Deeply rooted in ancient tradition, olive trees have a mythical and sacred dimension and were once revered. 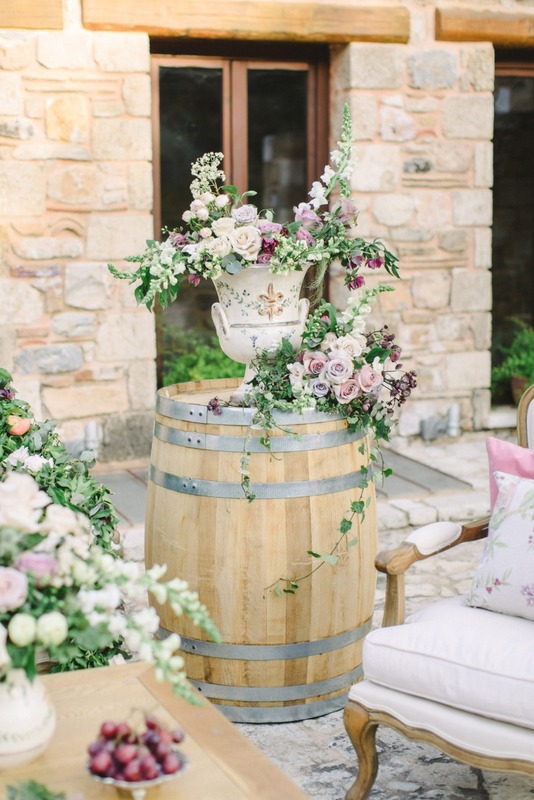 Inspired by its significance in Greek culture, we dreamt up this wedding editorial in which a whimsical centenary olive tree standing in all glory would serve as the ceremony backdrop. 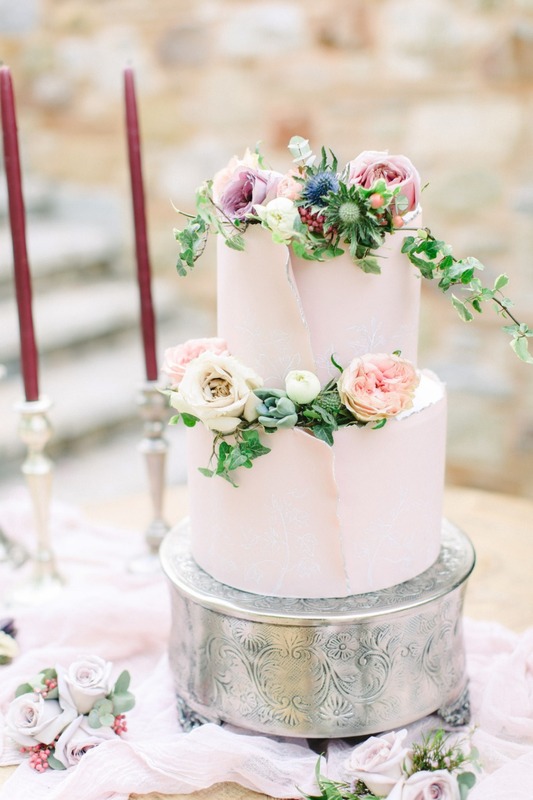 Hence we went for a floral blossom theme where we used luscious garden roses for days to adorn the large old trunk. 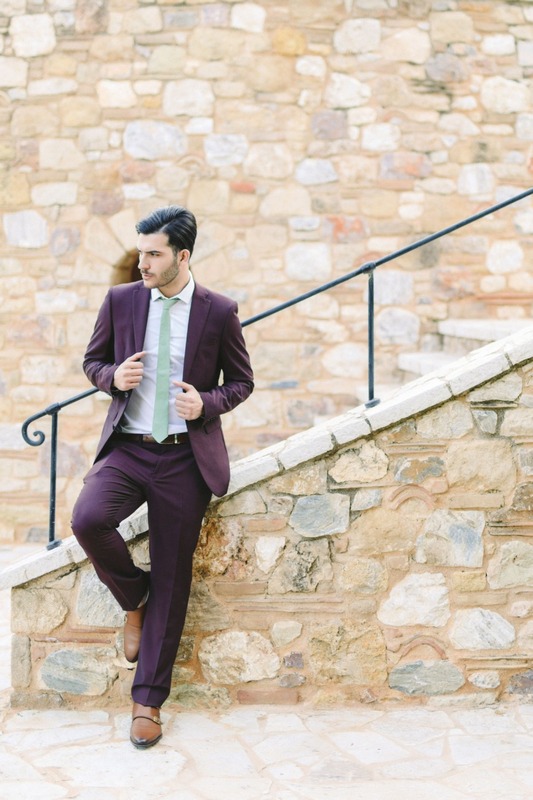 Pyrgos Pertreza was the ideal setting for our styled shoot; it is a place where nature and history go together. 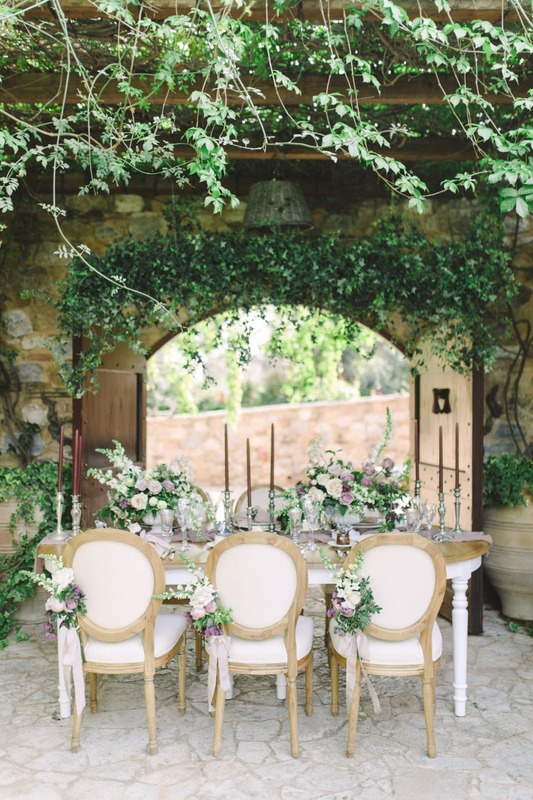 From the moment you step into this Byzantine style winery, there is a secret garden vibe that is reflected in its vineyard and olive grove. 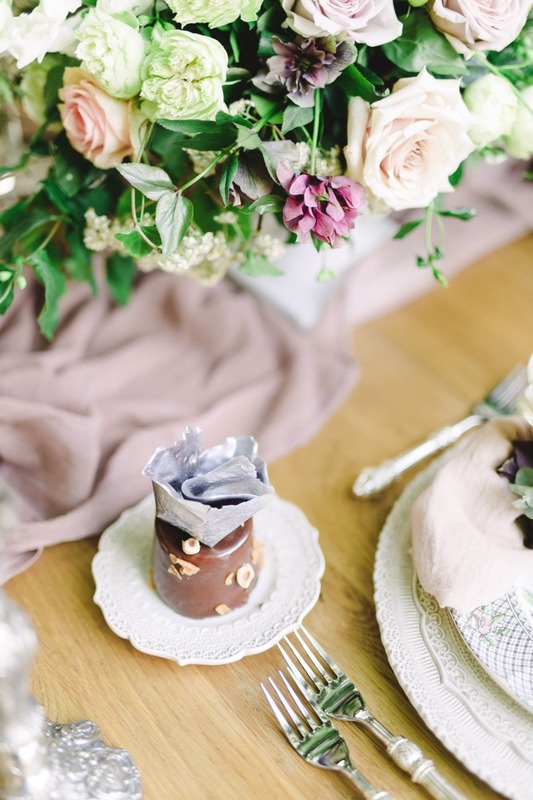 As an ode to the venue, we included wine-related elements through barrels and grapes in the styling and wine leaves designs in the romantic handmade paper stationery. 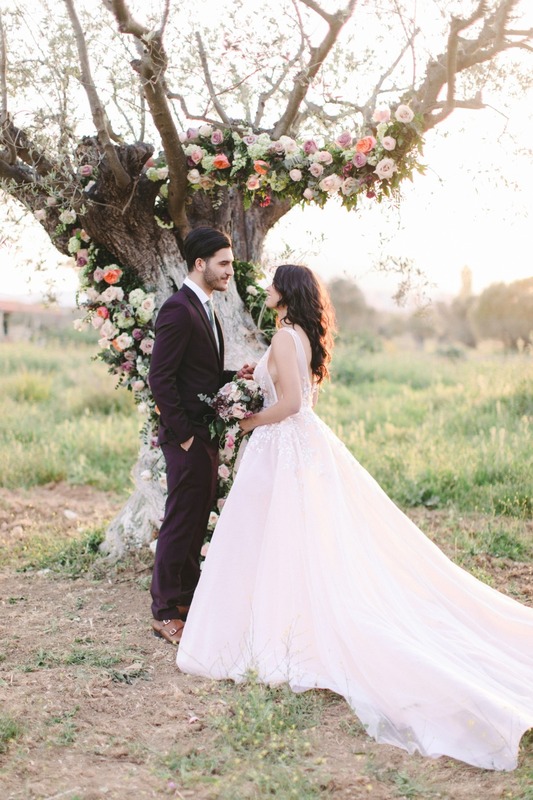 An exquisite pink wedding dress with flower embroidery by Nathalie Karam as well as artistic floral headpiece completed the enchanted mood. 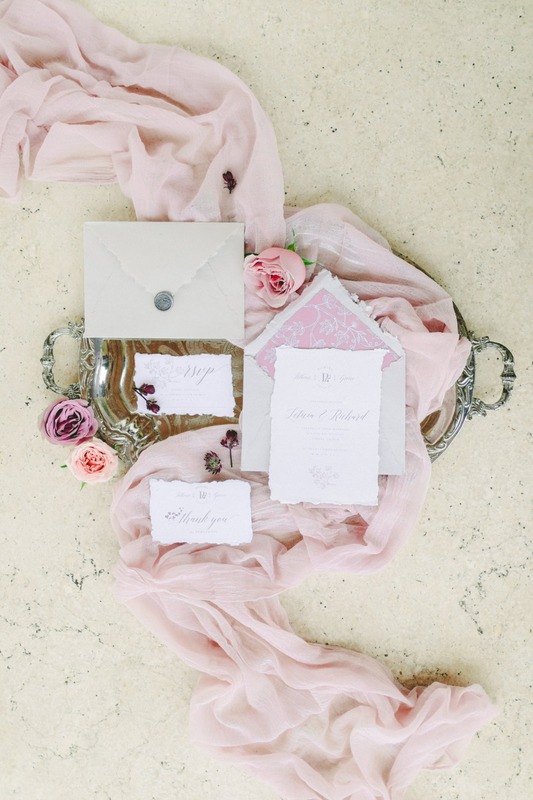 The photography of Anna Roussos really captured the essence of the editorial and showcased the beauty, wonder, and magic that we love about fairytales. 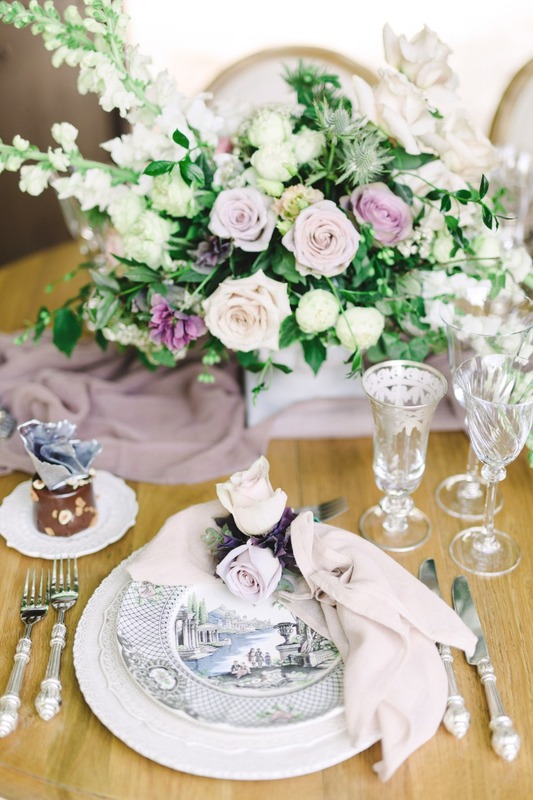 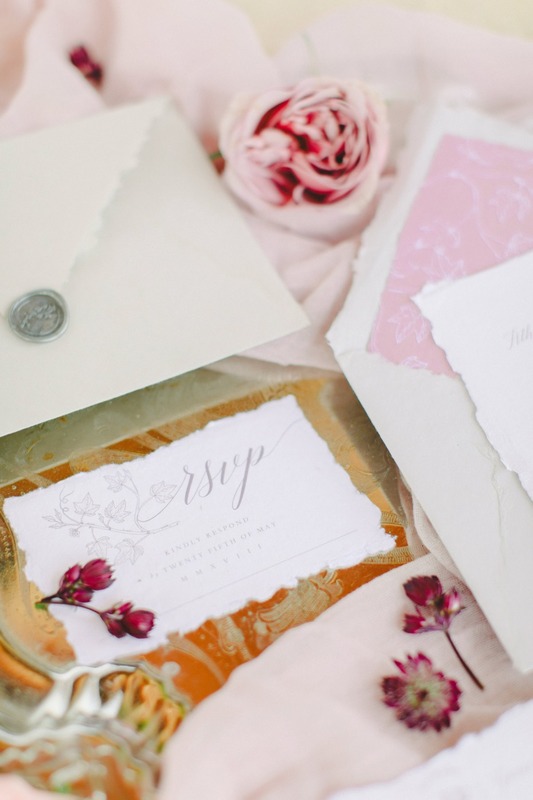 We chose pink and purple soft hues, classic colors with silver accents to complement the dreamy decor. 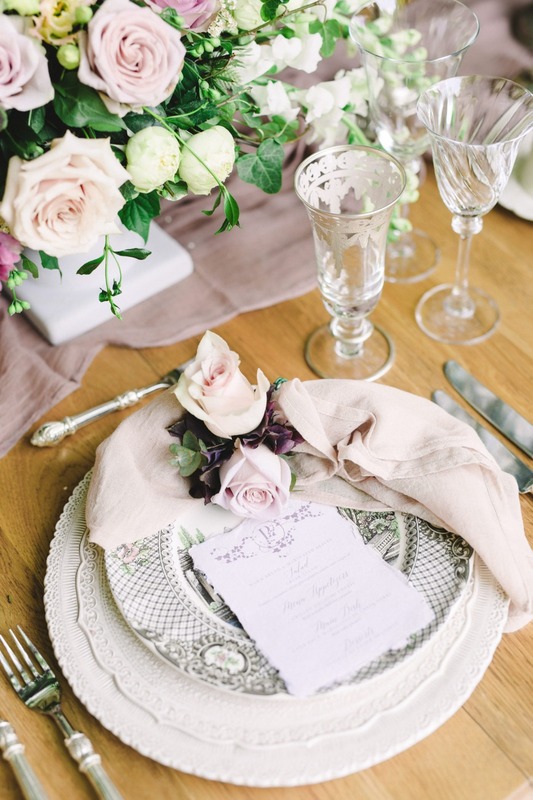 Vintage tableware as well as silver candle holders, and platters sourced from the Athenian flea market added to the timelessness of the design.